uring Christmas Holiday I met one of my friends to enjoy some good food and wine and to talk about different things. At some point he said something like: 'nothings is actually produced in Europe anymore'. Well, he is kind of skeptic of European Union, mostly because of its huge bureaucracy, and it following almost Byzantine model. although he doesn't rush us to leave the EU, to be clear. His statement was a result of frustration, a sad confirmation of the fact that the rest of the world, mostly Asia, is outrunning Europe. When I remembered all that I wasn't so sure anymore that nothing was made in Europe anymore. Even more so when one considered that many specialized manufacturers brought their production back to their homelands to have a better supervision over every stage of the whole process. I guess these companies that never moved their production outside Europe (USA and Japan) could feel like moral winners right now. Kiedy tak na to popatrzyłem, nie byłem już taki pewien, czy rzeczywiście nic się w Europie nie wytwarza. Tym bardziej, że coraz więcej specjalistycznych wytwórców wraca z produkcją pod rodzimy dach, doceniając kontrolę nad każdym jej etapem. Tak więc te firmy, które nigdy się z Europy (USA lub Japonii) nie wyprowadziły, mogą czuć się moralnymi zwycięzcami. Back in 2009 I reviewed a very innovative (at the time) product called DSS 30 Tube. Back then we didn't even know how to categorize it. The manufacturer, Blacknote, called it Digital Static Source (DSS). Today we would call this product a music server or a music files player that read signal from hard drives and flash drives. MAURIZIO ATERINI: [laughing] All of them! The registered company's name is Blue Note, but we also registered three brands within the same company. We created 3 brands to a separate one for each type on device we produced – analogue sources and amplifiers (BeN), digital sources and amplifiers (GN) and 'new technology' devices (BkN) (see more HERE). We dealt with products of all three brands in „High Fidelity” (see below). Some time later they all had been consolidated into one brand: Gold Note. In my opinion it was the right decision to make. It also involved design changes for the products and that also was a good move. Let me add that I love the new logo too. 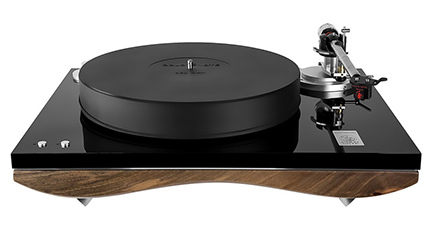 Mediterraneo turntable sits in the middle of company's range. And it is beautiful. When looking at it man knows right away that it is an Italian product, that it was designed and made by people with a special gift of a natural (not learned) sense of taste. This impression is created by a amazing plinth of Italian walnut combined with a steel insert and an acrylic top. The deck also sports, which is nots a rule today, a hinged cover. User can also adjust how quickly the covers closes. The deck sits on large, steel cones. All the proportions, used materials and finished are truly refined. One might say that this is 'just a turntable' but it introduces a spirit of 1950ties and 1960ties. Range includes also two less expensive models: Giglio and Valore, and a flagship Bellagio sold in three versions: Reference, Conquest and Conquest Black King. 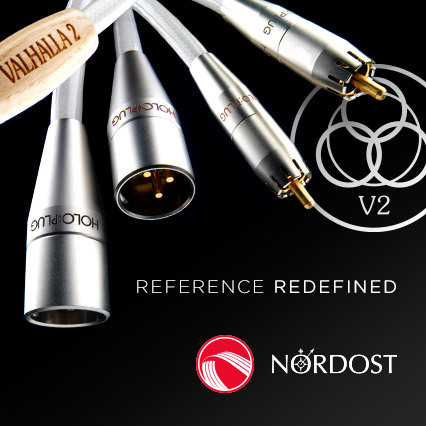 The two latter are integrated with a special, stabilized rack „pendulum”, similar to those used by Transrotor and Clearaudio in their top models. 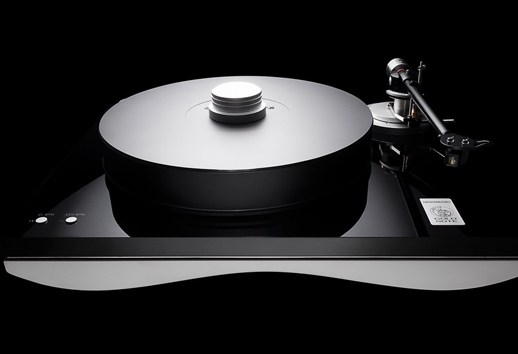 Range includes also two tonearms, few cartridges, but also phonostages, amplifiers, CD Players, D/A Converters, loudspeakers, cables and beautiful audio racks. One could easily compose a complete audio system of this range. With one exception – there are no music servers which, considering my first experience with this company described above, seems somehow ironic. Mediterraneo is a classic mass-loader which makes the setup so much easier. When one orders a whole system deck comes factory fitted with a tonearm and cartridge which make is (almost) ready to use. One has to fit the drive belt, anti-skating and plug in the external power supply. Later one might want to check and if needed adjust tonearm's and cartridge's setup using a protractor delivered with the turntable. One could also adjust VTF (vertical tracking force). In this case manufacturer declares the range between 1,8-2,1 g – in my experience something close to the maximum value works best so I decided to use 2 g and it worked fine. The cartridge delivered with the deck is a high level MC so it should work fine with any MM phonostage. I conducted part of this test using such setting but if you have a MC phono with adjustable gain you should try it too – it might yield better results, as it did in my case. The output signal of Machavelli Gold declared by manufacturer is of 1,2 mV, and most MM phonostages offer gain for cartridges with 3-5 mV output. So if only possible set the gain as close as possible to 1,2 mV. We received for a review a complete turntable. Maurizio designed Mediterraneo to be specifically used with his own B-7 Ceramic tonearm (1550 €), Phono Cable Extra interconnect (1750 €) and Machiavelli Gold cartridge (2750 €). It is a 9” arm and the cartridge, as already mentioned, is a MC HO type (Moving Coil High Output). For this test I paired Gold Note turntable with RCM Audio Sensor Prelude IC phonostage with Crystal Cable The Absolute Dream power chord. Our brains tend to identify what we see with the way we can hear it. Basing on stereotypes and personal believes we transfer certain elements from one world to another. Let's talk, for example, about gold. In audio it is used as a foil on Compact Discs deflecting laser's light, replacing aluminum in this job. Most people believe that gold Cds offer warmer, richer sound. My personal experience confirms that believe. It is believed that gold flutes sound warmer, softer than silver ones, although it is a matter of personal sensitivity to the sound. The author adds that research does not confirm this believe and yet most musicians believe it to be true. Admiring Mediterraneo's aesthetic first and then listening to it I was in complete agreement with such believes. In high-end audio wood and Italy are widely associated with a warm, rich, refined sound. Now, if you have better things to do you skip next paragraphs right to the summary, as I will mostly elaborate on these three, already mentioned features. Maurizio's turntable offers particularly enjoyable listening experience. Elements creating this impression are: a complete lack of brightness and harshness, a rich midrange and an inner richness of the sound that translates into sort of calm: calm or peace achieved via meditation and not castration (of dynamics and attack). Listener immediately focuses on midrange as this part of the range is most charming. Both range extremes are not so exposed compared to midrange, and lower should be more powerful. I confirmed that impression listening to Metallica's Master of Puppets, the double 45 r.p.m. edition, AC/DC's concert, or the latest Jean-Michel Jarre’s project. All these albums sounded good, I enjoyed them a lot even though I missed some more powerful, more immediate attack. It didn't take long before I focused on those albums where a vocal played leading part, or instruments operating mostly in lower midrange. Let me say that again – it happened not because I didn't enjoy rock music but simply because jazz, classical music, minimal sounded so good that I didn't feel like changing these genres for others. Despite that I wouldn't say that any part of the range was emphasized. It's a feature is a carefully thought-through designs.